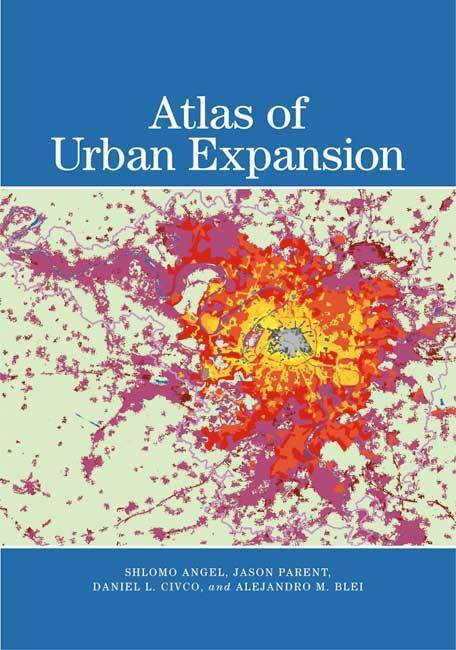 At a time when the world’s cities are bursting with massive increases in population, the Atlas of Urban Expansion is a comprehensive guide to the past and future characteristics of metropolitan growth. In 2010 more than half of the world’s total population lived in cities, and this share is expected to increase to 70 percent or more by 2050. The world’s urban population is expected to increase from 3.5 billion in 2010 to 6.2 billion in 2050, and almost all of this growth is expected to take place in less-developed countries. Cities in developed countries will add only 160 million people to their populations during this period, while Cities in developing countries will need to absorb 15 times that number, or close to 2.6 billion people, thereby doubling their total urban population of 2.6 billion in 2010. Given the expected decline in urban densities, these cities are likely to more than triple their developed land areas by 2050. Increased global awareness is needed to better understand and plan for this massive expansion of cities in developing countries, Angel says. Local and national governments, civic institutions, international organizations, and concerned citizens must make minimum adequate preparations. For example, it is vital that cities acquire the rights-of-way for arterial roads that can carry public transport and trunk infrastructure and protect selected open spaces from encroachment in advance of the coming expansion. The Atlas in book form introduces the project and presents two sets of full-color maps and a set of raw data tables. The first map section contains pairs of urban land cover maps from circa 1990 and 2000, representing a global sample of 120 cities. The second map section includes composite maps of a global representative sample of 30 cities, showing the historical expansion of their urbanized areas from 1800 to 2000. In both sections, the maps shown are paired with numerical and graphical data, making it possible to compare cities in terms of their metric values on key attributes of urban expansion. The third section contains four extensive tables of urban, national, and regional data for each of the 120 cities. The companion volume, Planet of Cities, also authored by Lincoln Institute visiting fellow Shlomo “Solly” Angel, lays out a series of recommendations for making adequate room for increased urban population growth, rather than emphasizing containment; adjusting densities within a sustainable range; providing an ample supply of urban land for decent housing; and securing land necessary for public streets, public infrastructure networks, and public open spaces well in advance of development. Buy Atlas of Urban Expansion.